Q: I recently got married and will be applying for legal permanent residence based on my husband’s US citizenship. I have taken my husband’s name, but my birth certificate, passport, and other identification show my maiden name. What do I do? A: This actually is a simple issue, but it can be confusing. First of all, some people believe that US Citizenship and Immigration Services (USCIS) require a wife to take her husband’s name when applying for permanent residence. That is not correct. A wife is free to keep her maiden name, take her husband’s name, or use a hyphenated combination of both names. The choice has no significance for immigration purposes. Also, there is no problem arising from the inconsistency between identity documents such as birth certificates and the US permanent resident card. When you apply for permanent residence, there are places on the USCIS forms to indicate both your current name (in your case, your married name) plus any names previously used (for you, your maiden name). Then the immigration authorities will process your case in your married name and the green card will be issued in that name. With your marriage certificate, you will be able to change other forms of identification to your married name as well: your home country passport, driver’s license, etc. If the process can be completed in time, it is a good idea to change your home country passport before you receive your US green card, so the names will match. Contact your country’s consulate or embassy in the US for further information. Those who obtained a green card through means other than marriage (other family relationship, lottery, etc.) but subsequently married are able to apply to USCIS to have their green card reissued in the married name. The marriage certificate would provide proof of the name change. Plus, legal name changes for reasons other than marriage can be evidenced by a copy of the relevant court decree when applying for an updated green card. As far as US passports are concerned, if the holder changes his/her name, a new or modified passport can be obtained by filing an application with the US State Department, accompanied by evidence to substantiate the change. This goes for all US passport holders, whether naturalized or entitled to US citizenship by birth. Go to www.travel.state.gov and click Passports for further details. 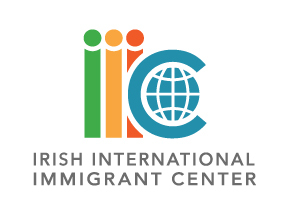 If you have questions about any other aspect of immigration law, you can have a free, confidential consultation at one of our legal clinics advertised weekly in the Emigrant. Disclaimer: These articles are published to inform generally, not to advise in individual cases. US Citizenship and Immigration Services and the US Department of State regularly amend regulations and alter processing and filing procedures. For legal advice seek the assistance of an IIIC immigration specialist or an immigration lawyer.